Joyetech UNIMAX 22 Battery comes with built-in 2200mah capacity and 22mm diameter. It features direct output and constant voltage output along with advanced dual circuit protection. The UNIMAX 22 battery presents you with two optional modes: direct output and constant voltage output along with advanced dual circuit protection. 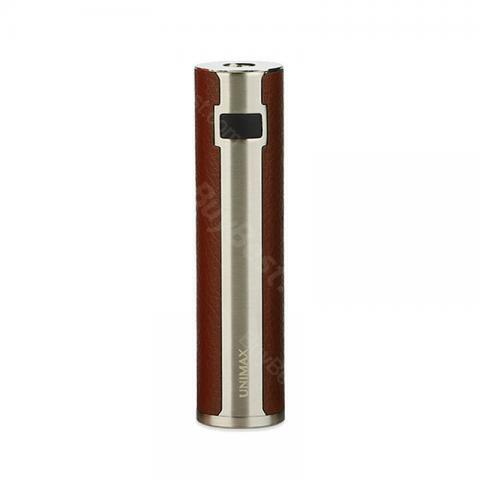 It comes with 22mm diameter and built-in 2200mAh battery. 5 colors. • Can fire coils with resistance ranging from 0.15ohm to 3.5ohm. Good product corresponds to the publication. It gives good steam, i recommend not to fill the claromizer too much, since it tends to strips of liquid droplets by the drip. It's an elegant vaper and quite a wearable size. Nice terminations. Ein weiterer Pluspunkt ist der intensive Geschmack beim Rauchen und das Aufladen der e-Zigarette geht aich ziemlich schnell. Joyetech UNIMAX ist nur weiter zu empfehlen. Joyetech UNIMAX 22 Battery - 2200mAh is good quality, perfect for many box mods.